I used to be a big watch wearer back in my high school days (mainly because I was one of the rare ones without a cell phone until my final year) and since then I haven't really found the need for one. I recently got back into wearing watches, or let's say wearing just one which I absolutely adored, but sadly lost a couple of months ago. Deep down I'm still hoping I will find it in a random place in my house. I thought long and hard about where else it could be and so I'm keeping my fingers crossed I simply misplaced it. It could thus not have been better timing (pun intended) when JORD reached out to me and asked if I would like to try one of their lovely watches. 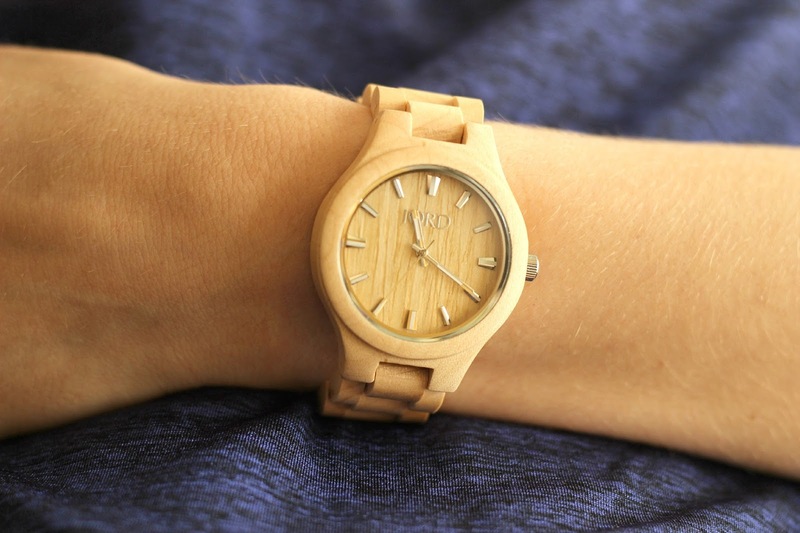 In case you haven't seen them take over social media (I first spotted them on Instagram and have had my eyes on them ever since), JORD (Swedish for earth, soil, land), a St. Louis, Missouri based watch company, specializes in creating the most stunning wood watches I've ever seen for both women and men. They have many different styles and types of wood to choose from, so you can imagine how hard it was for me to pick a favourite! I decided on the Fieldcrest series watch in Maple* because I love the shape and the light wood which is very much in style right now. The Fieldcrest watch arrived in a charming engraved wooden box and I fell in love upon opening its contents. 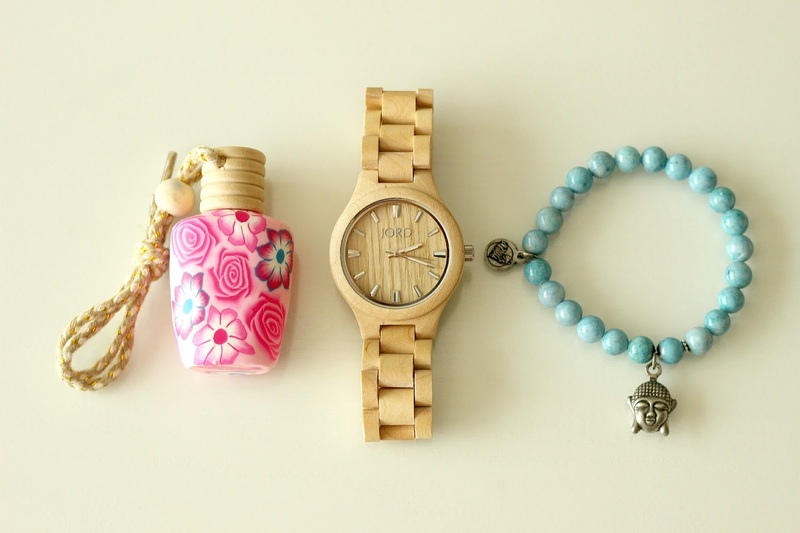 The watch is so simple, yet intricate and modern while also being a timeless piece. Best part? It feels so light on the wrist! 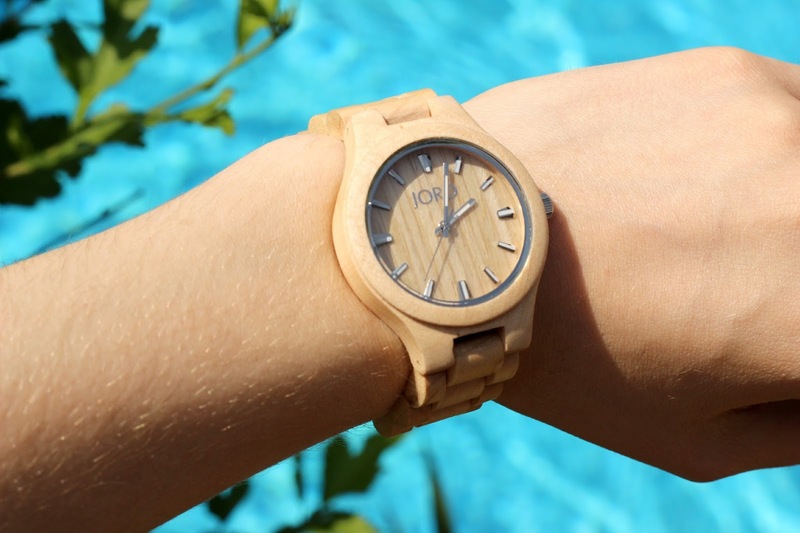 The body of the watch and the links are made from 100% natural, untreated, sustainably sourced maple wood, while the clasp is made from stainless steel. The closure and the back of the watch are also engraved with the JORD name and logo giving it an authentic feel. The watch is super easy to slip on and close, with both ends meeting securely with two simple clicks. To open, just squeeze the button on both sides and voila! What is nice about JORD watches is that they are scratch resistant and splash proof, and with proper care should last many years, if not decades. They suggest cleaning it with a DIY mixture, that is: two tablespoons each of olive oil and lemon juice using a soft cotton cloth. To prevent it from changing appearance, they also recommend applying a natural coating using walnut oil, so I have to get on that to prevent it from cracking or drying overtime. Each watch comes with a one year warranty and they even offer the option to size your watch for an extra $10 before shipping it out to you. If upon arrival it doesn't fit quite right, they provide you with extra links at the bottom of the box so that you can get the perfect fit. I've been wearing my Fieldcrest watch out and about almost every day since getting it. 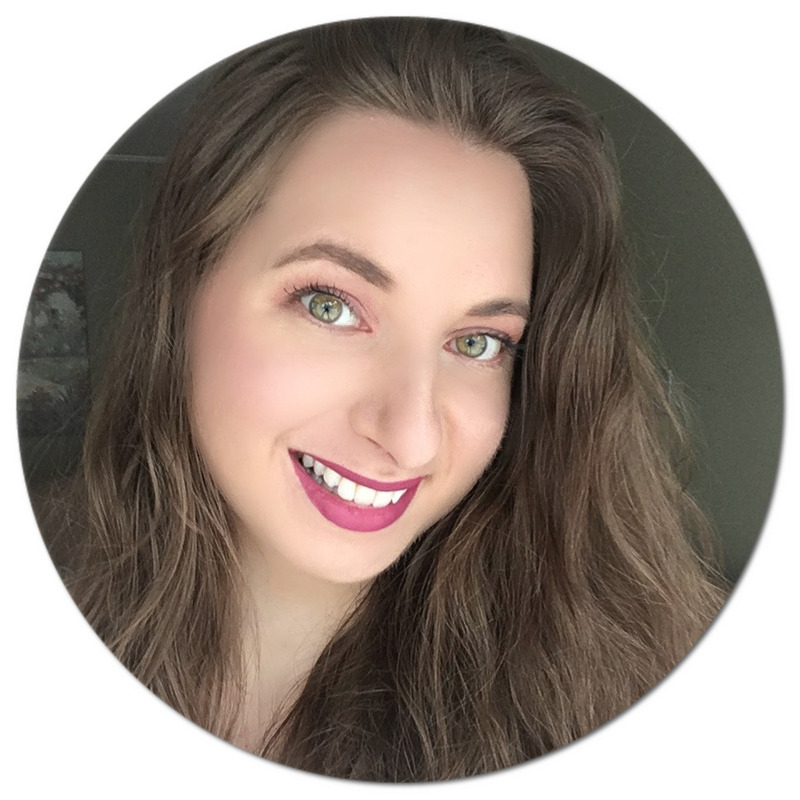 I love how I can pair it with a casual outfit or even something dressier and it just always brings the look together - it truly goes with everything. I've also noticed that since the wood is so light, it actually makes me look tanner, an added bonus! I've gotten so many compliments already, so be prepared to turn heads if you decide to get one for yourself! Their watches would also make a great gift for someone special in your life. 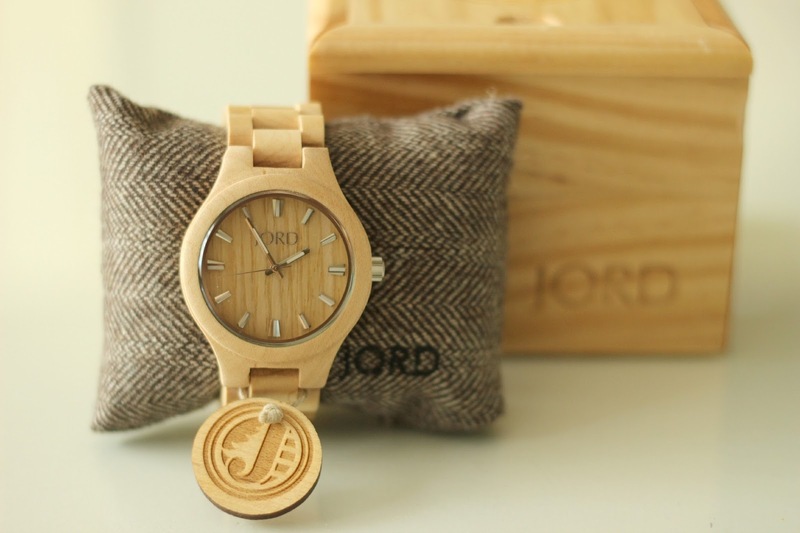 The JORD Fieldcrest series watch in Maple retails for $120 and can be purchased directly on their website. Have you heard of JORD watches? 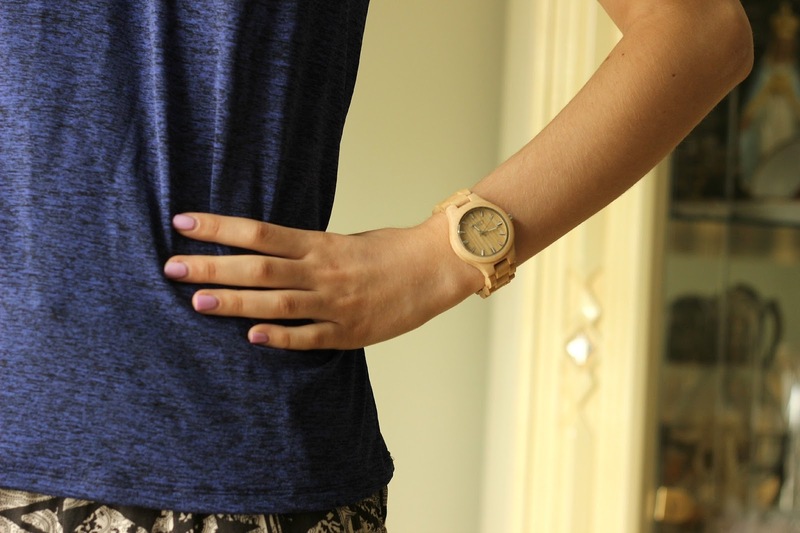 What do you think of the wood watch trend? That is a very interesting watch! I love the look of a nice watch, especially on men for some reason (maybe it just seems masculine and stylish) but I don't like wearing them much myself. I have a beautiful Gucci watch my hubby got me with lots of bling and I think I wore it about 4 times! I absolutely LOVE their watches, they're so pretty and unique. And you can pair them with almost any outfit!